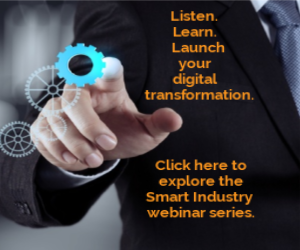 Innovators on the leading edge of digital transformation. The next industrial revolution is upon us. Sure, the digital transformation of industry has been gathering steam for decades now, but as proof positive that technological and market forces have reached a tipping point, Smart Industry has compiled its first list of fifty Digital Innovators that already are putting the concepts of the Industrial Internet of Things, Industry 4.0, cloud computing and big data analytics to work with demonstrable results. This class of 2016 includes front-line implementers hailing from a broad range of industry verticals—from aircraft and auto parts to aluminum processing and oilfield machinery—as well as a select few standard-bearers (pun intended) from the consortia and other industry organizations doing the hard work of consensus-building needed to move industry forward despite competitive commercial interests. The full list of our fifty honorees is spread across the pages that follow, along with more in-depth profiles of 18 of them. We hope you find their personal stories as inspiring as we do, and join us in congratulating them on their accomplishments. Download a PDF of The Smart Industry 50 here. “Counting beans is not the same as making them,” notes Dennis Hodges, chief information officer for Inteva Products, a global supplier of engineered components and systems for the automotive industry as well as for the defense, commercial vehicle and other markets. Indeed, an underlying theme of his work has long been applying information technology to not only keep the financial books for the enterprise but to improve the manufacturing processes themselves. “We might start with a basket of plastic pellets and transform it into a dashboard. That’s where technology can do something meaningful,” Hodges says. Haresh Malkani dreams of "self-aware, self-optimized manufacturing." Longer term, Hodges sees additive manufacturing as having an outsized impact on the company’s manufacturing processes. “How we make things will change dramatically. With 3D printing it will be one part today, another tomorrow.” The Industrial IoT also promises to remake the company’s maintenance practices and reduce unscheduled downtime. “Today, there are half-million-dollar injectionmolding machines that effectively run blind,” he says. “It’s a multi-billion dollar opportunity, and there’s a huge opportunity for machine builders to provide those capabilities.” Meanwhile, Hodges and his team will continue to apply technology to enhance operators’ capabilities and eliminate another type of “3D” tasks—those that are dirty, difficult and dangerous for human operators. In his 47 years in the elevator business, Rory Smith has pretty much seen it all. He’s set up maintenance operations in the Middle East, deployed high-performance elevator controls in the twin towers of the World Trade Center, and performed just about every function in between. But for the past three years the director of strategic development for ThyssenKrupp has lived and breathed IoT, overseeing the elevator manufacturer’s ambitious plans to connect the its vast installed base of 1.2 million elevators to the cloud. “Our long-term business is maintenance,” Smith explains. Elevators are one-time capital placements that can remain in service for a century, but keeping them operating smoothly provides a steady stream of revenue. To ensure ThyssenKrupp remains the vendor of choice, the firm’s development team determined it could shift away from preventive maintenance to a predictive maintenance model, leveraging Microsoft’s Azure platform to remotely monitor performance. The roll-out began late last year and continues at a torrid pace: Some 1,000 elevators are being connected each day via cellular connection to the cloud. The goal is to use a combination of remote monitoring, machine learning, cloud analytics and assisted maintenance to transform the reliability of its fleet and redefine customer service expectations. As founder and president of Global Drilling Support (GDS International), Keith Holliday has led the 20-year-old supplier of top drives and associated support services for oil and gas production in its efforts to leverage data on behalf of its clients. “Just five years ago, the focus was on building the best top drive—one that was big, fast and strong. But that’s no longer enough,” Holliday explains. Today, the company is developing software that with new sensor technologies will deliver better production efficiency for drilling contractors and their customers in the oil and gas industry. For example, the company has implemented GE’s Equipment Insights solution to provide remote connectivity to their top drive controllers together with cloud-based analytics so that key performance indicators across their fleet can be gathered and analyzed in real-time. They’re also experimenting with the integration of vibration data for predicting maintenance requirements as well as downhole sensors. Downhole data together with new algorithms promise to improve drilling performance, much like anti-slip algorithms in a car’s transmission, Holliday explains. Rory Smith is connecting 1,000 elevators a day to the cloud. Sven Schrecker’s passion for designing sustainably secure digital devices and systems dates back to the dot-com era of the late 1990s—long before most in the industrial space appreciated the potential downside of our increasingly interconnected production systems. The product design firm for which he worked was acquired by a security company, and soon cybersecurity vulnerability assessment, compliance and risk management became core criteria for his team’s design processes. Schrecker’s aha moment came with the realization that if all the various elements that contribute to the security of digital systems could be made to work together, one could build a usable, end-to-end cybersecurity architecture. “It’s not a technology problem, it’s an integration problem,” Schrecker says. Fast forward to today and the Intel chief cybersecurity architect for IoT solutions is also co-chair of the Industrial Internet Consortium’s Security Working Group, which is soon to release its cybersecurity framework for Industrial Internet systems. At press time, the draft framework is under review by the IIC membership, and promises to provide a seminal underpinning for the Industrial IoT moving forward. At first glance, Chris Misztur and Scott Masker might seem unlikely champions of process improvement at MacLean-Fogg Component Solutions, a manufacturer of fastener and suspension components. Masker, a business systems engineer, and Misztur, a software architect and self-proclaimed IoT evangelist, found that IT seldom was invited to meetings when the operations group sought to solve problems or improve manufacturing processes. As a result, the solutions that the IT group was asked to implement seldom reflected how technology could best advance the organization’s goals, especially in its current drive to leverage lean manufacturing methodologies. “We can make this better,” the two decided. Keith Holliday is building smarter top drives for the oil industry. One example is the open-source Kepware Proxy middleware application the two developed in order to emulate communication between new programmable logic controllers on incoming machines through Kepware’s IoT Gateway to the plant’s JD Edwards ERP software and other plant databases. The middleware allows them to test all of the communications—without the PLC itself—so they know they can get the application up and running right the first time. More generally, Kepware Proxy is an open-source middleware application that glues together manufacturing and business contexts, explains Misztur. “This means that machine data becomes available to the business and business data becomes available to machines.” The open-source software is available free of charge, and “we want other people to work with us to make the software better,” Misztur adds. To that end, interested parties are encouraged to visit his appropriately named website, MrIIoT.com. As president and executive director of the OPC Foundation, Tom Burke has been the face of OPC and the organization that supports it since the original specification was first conceived in the mid-1990s as a means to take on Wonderware’s dominance in the arena of software connectivity with thirdparty devices. Since that time, Burke has been at the helm as the OPC standards for open connectivity and application integration have continued to evolve and stay relevant despite the continued onrush of technology. Today, more than 440 companies belong the Foundation and it boasts cooperation agreements with 25 industry groups ranging from the newly formed OpenFog Consortium to the venerable German Machine Tool Builders’ Association. There’s an old adage that too much knowledge about how sausage is made will diminish one’s enjoyment of the finished product. But at Tyson Foods’ Hillshire Brands subsidiary—maker of the popular Jimmy Dean breakfast sausages—operations personnel are enjoying the benefits of improved visibility into their manufacturing processes. Detlef Zuhlke proposes modular production unites like Lego blocks. Detlef Zuehlke stumbled into the field of factory automation. He started as an electrical engineering student with an interest in semiconductor design, but faced with no funding he switched to mechanical engineering and a focus on automation. The rest, as they say, is history. After graduate school he went to work for Lufthansa, then Boeing, and since 1994 he’s been chair for production automation at Germany’s Kasierslauten University of Technology. Along the way, he founded in 2005 SmartFactoryKL, an industry-driven research and demonstration center for smart factory technologies that is recognized as the birthplace of the Industry 4.0 paradigm. Lui Qiao sees material sciences as enabler of the digital economy. Automation Protocol (MAP). Those experiences taught him not to underestimate complexity, and to consider the power of both market and technology forces to shape the future of technology. It wasn’t Rodden’s first foray into ERP, having cut his IT teeth during the “pre-laptop” era at a West Coast company, “doing new things with the latest minicomputers.” An early 1980s ERP implementation thrust him into all aspects of the operation, from inventory control to scheduling to financial statements. Thus began a series of roles of increasing responsibility that took him into sales, marketing and international operations. But travel took a toll on family life, and he left for quieter country near Cincinnati, Ohio, where at SugarCreek he found a match for his talents. Mark Buckner believes in the power of cross-functional teams. Looking down the road 10 years, Rodden predicts that the user interfaces for technology are overdue for an update and will be very different than they are today. “Pokémon GO gives us a hint of what will be happening,” Rodden says, predicting the expanded use of technologies such as augmented reality and voice in industrial contexts. Data tools, too, are ripe for improvement. “We’re collecting massive amounts of data, but the shortcoming today is in the visualization and preparation.” In particular, he’s bullish on the potential of graphical databases such as Neo4J to dramatically improve data accessibility (he wants out of the “SQL view” business). Machine learning and algorithms for users—not coders—also are needed. All toward the end of “getting data into the hands of the all the folks who can use it,” Rodden says. As evidence of Buckner’s passion toward solving the world’s problems—through technology and the applied brain power of today’s youth—one need look no further than center stage at National Instruments’ recent NIWeek event in Austin. Buckner, who currently leads ORNL’s Power & Energy Systems Group, demonstrated with a cadre of graduate students ongoing work to address the problem of connecting unpredictable renewable energy sources to the electrical grid. Central to the demonstration was the use of time sensitive networking (TSN) technology over standard Ethernet to successfully synchronize the phases of various loads and renewable power sources as they came off and on a microgrid that, in turn, was seamlessly synchronized with the larger electrical grid. Chris Misztur solves problems on the far side of the IT/OT divide. Mark Carrier isn’t always understood by his peers or management. He’s a long suffering advocate of data-centric software architecture, a liberating approach to the design of complex systems that he says isn’t always appreciated by those used to the flow of control rather than the flow of data. “Complex systems are my passion,” says the senior software engineer for Houston Mechatronics, a company started by NASA roboticists to develop new applications for space technology back here on planet Earth. “People often think in terms of a single controlling entity and end up with large, over-engineered systems,” Carrier says. Instead, picture a pit crew, a federated system of autonomous actors. “Each has domains of responsibility and authority, and when the race car comes in they each know what to do.” This concept has enormous implications for the design of other complex systems such as robot movements, where the ultimate destination typically is more important than the path taken. “The challenge is teaching people how to start bundling low level functionality into higher level abstractions,” he says. Jean-Bernard Hentz has spent the better part of three decades “advancing intelligent design in manufacturing,” says the head of product life cycle management (PLM), research and technology, and innovation for Airbus. Today he is working to advance “disruptive PLM capabilities” within the scope of the company’s Advanced Digital Design and Manufacturing initiative. Jonathan Riechert finds that visibility pays off in unexpected ways. No stranger to the digital transformation, Hentz managed the PLM Research and Innovation processes for Airbus, which encompasses the company’s manufacturing IoT integration platform as well as agile development, advanced 3D visualization, model-based system engineering, big data and analytics. Among the proudest accomplishments with which he’s been involved was the development in 2005 of the manufacturing processes for the A380, the first Airbus model for which not only the aircraft itself but the full manufacturing processes were modelled in 3D. Six years ago, when Lui Qiao left Toyota to join 3M Company, he had his work cut out for him. His mission? To lead the development of a technology platform, infrastructures, systems and processes that would enable the diverse materials science company to harness the promise of the Internet of Things through smart and connected products and solutions A major milestone since has been that launch of the company’s Electronics and Software Technology Platform, an important symbol of the start of 3M’s digitization era. The IoT fits well with 3M’s “Science. Applied for Life” mission, says Qiao, who also established and serves as technical director of the company’s Software, Electronic and Mechanical Systems Laboratory. “Material science will be the fundamental for sustainable growth of our digital economy. The fusion and advancement of chemistry, physics, biology with mathematics and computational science will be the driving force to take digitization to the next level,” he says. “The mining business is in the midst of a digital transformation,” Orellana says. In 10 years, he expects all mine operations be intelligent, autonomous and tele-operated. “The big challenge will be to achieve virtuous collaboration between man and machine.” For instance, to develop proactive maintenance processes that will allow continuous mine operation, and the achievement of zero accident rates for both humans and machines. Further, he anticipates that in 10 years, the company’s mines will be largely self-sufficient in water and energy use and that that company will successfully produce copper from deposits that today are infeasible—all in a sustainable and environmentally friendly way. Arthur found his passion for addressing the world’s food needs as a young technician with the U.S. Dept. of Agriculture. There, he learned of agriculture’s grand challenge, and found that he’s happiest when he’s contributing to its solution. Today, the PhD geneticist is director of John Deere’s information solutions group, and is uniquely positioned to help to solve world hunger through precision agriculture, much of which is facilitated through information gathered by the company’s farming equipment. As a 27-year veteran of the Alcoa Technical Center near Pittsburgh, Pa., Haresh Malkani has modeled, controlled and simulated most every of the operations involved in finishing aluminum—from rolling to casting to extrusion. Today, he leads the Alcoa Automation and Smart Manufacturing initiative, a global team focused on the development and deployment of advanced technical solutions across the company’s hybrid and discrete businesses. “Phase I is all about information, its access, integration, visualization and contextualization across manufacturing processes—getting the right data in front of the right people in the right form.” Phase II—and the work that most excites Malkani—is about making these systems “intelligent on their own,” Malkani says. As with many far-reaching technology initiatives, rallying a global team around a common mission proved a significant challenge, and one of which Malkani is most proud. “There was a lack of coordinated vision, broad sponsorship from leaders, and clear outline for the path forward. Getting them all together was my biggest accomplishment,” Malkani says.